As a service or X as a service (XaaS) is the collective term used to describe the many different and increasing numbers of services provided over the internet, that traditionally have been provided locally. The three main cornerstones of cloud computing are Infrastructure as a Service (IaaS), Platform as a Service (PaaS), and Software as a Service (SaaS). 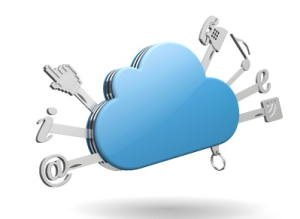 These pillars of cloud computing have now morphed into a dynamic and ever changing industry. Infrastructure as a Service (IaaS): Is a form of cloud computing that provides virtualized computing resources over the internet on demand. In this model a cloud service provider hosts hardware, software, servers, storage, and other infrastructure components for the end user. Platform as a Service (PaaS): Is a cloud model in which providers deliver applications over a network while hosting user’s hardware and software on its platform or infrastructure. Desktop as a Service (DaaS): Is a cloud service in which the back-end of a virtual desktop infrastructure (VDI) is hosted by a cloud service provider. It separates a personal computer desktop environment from a physical machine using the client-server model of computing. Storage as a Service (SaaS): Is a model in which a provider provides digital storage on their infrastructure. This is implemented by large scale providers who lease space in their storage infrastructure usually implemented on a pay as you need subscription.